She’s not much to look at, but that’s fine. These media streamers are meant to be used, not seen. (ahem Boxee Box) We spent a few quick minutes with the device, but until that video finishes doing the processing dance, feel free to shift through these photos. Oh, and the keyboard is nice. The device itself is no great shakes. It’s basically a box that connects to your DVR (it’s compatible with Dish’s device right now) and you can control it via a larger RF keyboard or Logitech’s old and tiny Bluetooth controller you may be familiar with if you’ve used Logitech’s Harmony gear. 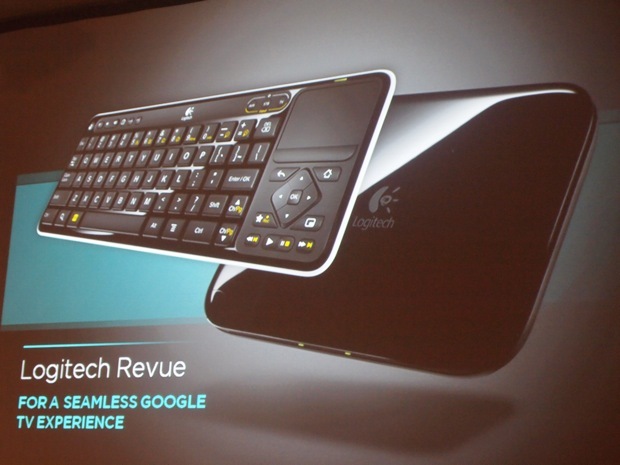 The real magic comes from Google TV which allows you to search for content via the controllers or even via voice commands through your cellphone. That’s right: you can say “Price Is Right” and the show will appear on your screen, provided it’s available online. That said the content side of things are very slim pickings. While I love me some YouTube videos, they’re the Goldfish Crackers of content and, as such, are as exciting as hanging out with a toddler. Howover, you can also download podcasts and videocast. More valuable is the sourcing for personal device like laptops. To view content on a Revue you “play” the content on another device and it appears on your screen via DLNA. 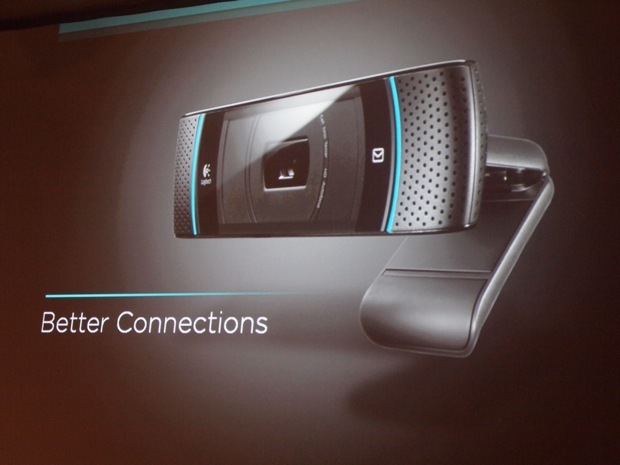 As we said before, the real initial value will come from the camera that Logitech is selling for video chats on the TV.